Looking for the perfect Valentine’s gift? Well, this is probably not it… unless you are really secure in your relationship! 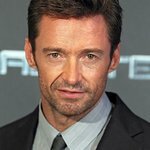 Heartthrob Hugh Jackman has donated the opportunity to join him for lunch to a new charity auction. 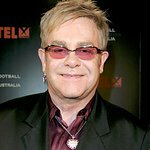 The Australian hunk – currently starring in the epic masterpiece Australia and soon to be seen in X-Men Origins: Wolverine – wants to have a meal with you (yes, YOU) to benefit the New York Restoration Project, an organization founded in 1995 by Bette Midler. The New York Restoration Project is based on the belief that clean, green neighborhoods are fundamental to the quality of life, and that every community in New York City deserves an oasis of natural beauty. Seeing many parks and open spaces in dire need of clean-up and restoration, Midler created NYRP to be the “conservancy of forgotten places,” particularly in New York City’s underserved communities. And now Hugh Jackman is lending his support to the cause as well. The lunch will take place on the set of Jackman’s next film, and is valid for two people. The auction is open until February 12, and bids started at $5,000. The auction can be accessed here.